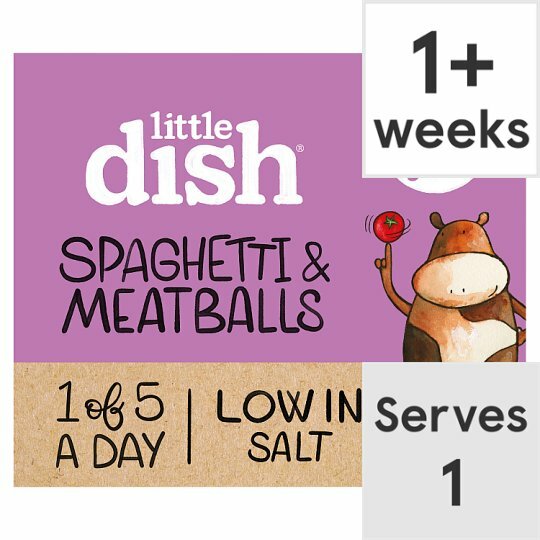 We make our meatballs with British beef in a tomato and veg sauce, served with short spaghetti. 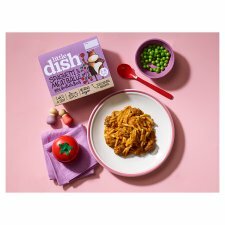 Keep in the fridge, Freeze before use by date. Once defrosted do not refreeze and use within 24 hours. 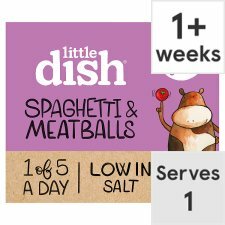 Cooking Instructions (General): Our Spaghetti & Meatballs is best cooked in the microwave. Please do not reheat. All microwaves vary, these are guidelines only. Always test the temperature before serving. Microwave (From Frozen): Take off the card sleeve and pierce the film in a few places. Put on a microwaveable plate and cook for 2 mins 30 secs at 900W. Let your pot stand for 1 min and then cook for another 2 mins at 900W. When it's ready, let it rest for 2 mins in the microwave. Then peel off the easy peel film, stir and serve. Microwave (From Chilled): Take off the card sleeve and pierce the film in a few places. Put on a microwaveable plate and cook for 1 min at 900W. Let your pot stand for 1 min and then cook for another 1 min at 900W. When it's ready, let it rest for 2 mins in the microwave. Then peel off the easy peel film, stir and serve. Oven cook (From Frozen): Preheat your oven to 190°C (electric), 170°C (fan), Mark 5 (Gas). Take off the card sleeve and pierce the film in a few places. Put the pot on a baking tray in the middle of the oven for 35 mins. When it's ready, let it rest and cool down for 2 mins before serving. Then peel off the easy peel film, stir and serve. Oven cook (From Chilled): Preheat your oven to 190°C (electric), 170°C (fan), Mark 5 (Gas). Take off the card sleeve and pierce the film in a few places. Put the pot on a baking tray in the middle of the oven for 25 mins. When it's ready, let it rest and cool down for 2 mins before serving. Then peel off the easy peel film, stir and serve.